On January 17, 2017, OSHA’s new Walking-Working Surfaces Rule took effect, updating OSHA regulations that have been in place for nearly a half century. OSHA’s new rule, commonly referred to as the “Slips, Trips and Falls” rule, actually revises and updates two historic OSHA standards — the Walking-Working Surfaces regulations at Subpart D and the Personal Fall Protection regulations at Subpart I of OSHA’s General Industry Standards (29 C.F.R. Part 1910). Begun in 1990, it took OSHA all of 27-years – longer than it takes the Agency to promulgate its comprehensive health standards, which is saying quite a bit. But just shy of two months to the end of the Obama Administration, the rule was promulgated, and became effective and enforceable three days prior to the Inauguration of Pres. Donald Trump. While the new rule may fall prey to to efforts by the Trump Administration to stay and roll back those rules promulgated in the 11th hour by the Obama Administration — of which this certainly is one — it seems to have avoided the full scale assault by industry legal challenges typical of new OSHA rules. The period to file legal challenges to the rule ended two weeks ago, and a survey of court filings indicates that only two parties have filed challenges to the rule, and these challenges are narrowly focused on a few discreet provisions of the rule, relating to the 300-foot limit on the use of rope descents and the restrictions on chimney sweeps who climb carrying their hook ladders. Thus, even if these challenges are upheld, the bulk of OSHA’s revised Walking Working Surfaces rule will remain secure and in place. It is not surprising that the new rule by and large escaped industry legal challenge. For the most part, it incorporates existing advances in technology and current national consensus standards and/or industry best practices already in place in a wide swath of impacted industries into the regulatory structure. Further, in particular in the area of personal fall protection, the new rule adds flexibility to the old requirements by expanding allowable methods for compliance. For instance, the new rule allows employers to rely on fall protection systems rather than relying exclusively on guardrails and physical barriers in many situations. However, the new rule does impose some new requirements it is important to be aware of and understand. Where personal fall protection systems are used (i.e., personal fall arrest, travel restraint, and positioning systems), the new standard establishes requirements on the use, performance, and maintenance of these systems. Also, as has been the case under OSHA’s construction standards for some time, the final rule prohibits the use of body belts as part of a personal fall arrest system. This is one example of many where the new standard eases compliance for employers with operations governed by both the general industry as well as construction standards by, in general, aligning the regulatory provisions in these two areas. More broadly, the new standard adopts new requirements in the areas of training and inspection, requiring employers to, for instance, inspect walking-working surfaces regularly and as needed, and to correct, repair or guard against hazardous conditions, and to train and retrain (as necessary) all employees who use personal fall protection and work in other specified high hazard situations on fall and equipment hazards, including fall protection systems. With regard to ladders, the new standard phases in new ladder requirements including a requirement to equip fixed ladders extending over 24-feet with ladder safety or personal fall arrest systems, and prohibits the use of cages and wells as a means of fall protection after the elongated 20-year phase-in deadline. While the rule grandfathers in cages and wells on existing ladders, it requires during the phase-in period that employers equip new ladders and replacement ladders or ladder sections with ladder safety or personal fall arrest systems. Installation of ladder safety systems or personal fall arrest systems on all fixed ladders (over 24 feet) – 20 years. An earlier proposal of the rule included a data request asking stakeholders to provide information related to regulation of vehicles falling under these definitions. Numerous stakeholders, from industry groups to safety organizations, provided comment during the rulemaking on whether the final rule should include specific requirements for fall protection on top of rolling stock and motor vehicles. Thus, while OSHA did not include specific requirements applicable to rolling stock in its 2010 proposed rule, it noted in the Preamble to the 2010 proposal that it would continue gathering data and evidence to determine whether there is a need to propose specific fall protection requirements for rolling stock and motor vehicles. The agency further noted in 2010 that it needed “more information about what employers are presently doing and any feasibility and cost concerns associated with a requirement to provide protection” for rolling stock and motor vehicles. Notwithstanding the signals OSHA was sending during the rulemaking process, the final standard contains no new fall protection requirements applicable to rolling stock. 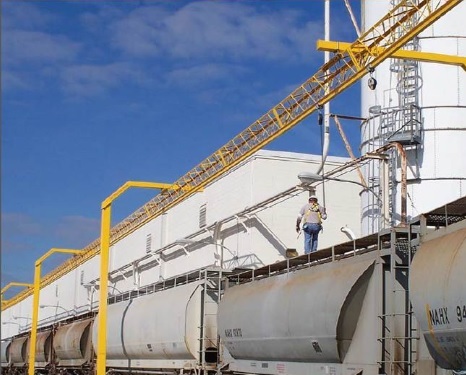 Thus, the “Miles Memo” remains in place, and it requires the use of fall protection on rolling stock in situations where railcars are located adjacent to an elevator or other permanent structure. Of additional import, while the new standard does not create additional fall protection requirements for rolling stock beyond the Miles Memo, the Preamble does state that feasibility of fall protection is more clear today than when the Miles Memo was was issued, and that OSHA will “wait until the record is more fully developed” to make a determination about requiring fall protection on rolling stock and motor vehicles at all times. Further, the agency stated that, if it receives sufficient comments and evidence to warrant rulemaking on rolling stock and motor vehicles in the future, it will issue “a separate proposed rule” specifically targeting and addressing this issue. Thus, OSHA has kept the door open to develop a further stand-alone rule on rolling stock. Overall, the new rule is relatively non-controversial and has received more support from industry than most OSHA rules, evidenced by the lack of judicial petitions filed challenging the rule. Nonetheless, it contains some new requirements that employers must be aware of, such as the new training and inspection requirements that kick in in six and twelve months, respectively. 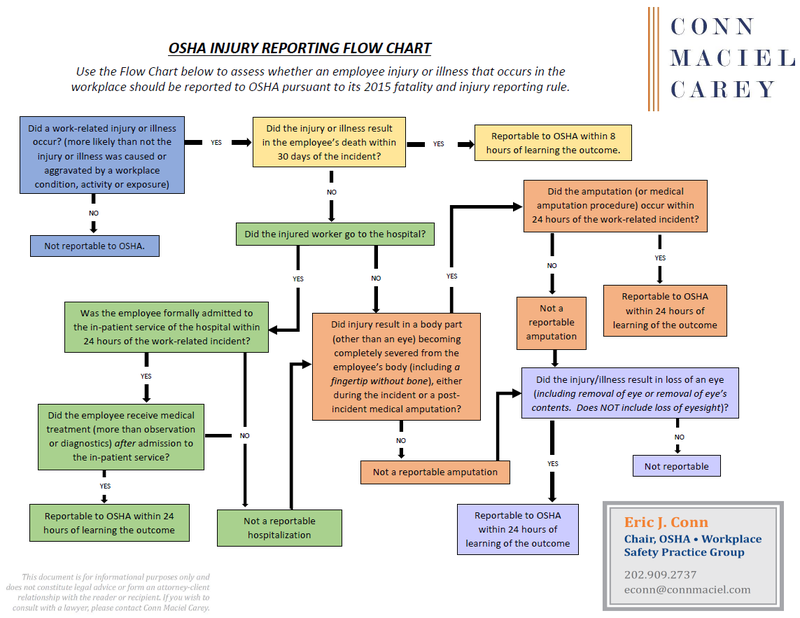 Stay tuned to see whether the standard falls within the scope of efforts by the Trump Administration to stay its terms or enforcement, but, until then, make sure to review and understand both the new requirements of the standard as well as the additional flexibility it provides to protect workers from falls in your workplaces.